Congratulations! You are taking your first steps into becoming a property owner. New property owners can proceed in one of two ways: they can manage properties themselves, or they can hire property management companies. Running the show yourself enables you to keep a larger share of the income. However, it requires a substantial investment of your time; time that would be better spent working, securing another rental property, and with your family. A management company allows you to earn the income from your properties with minimal effort on your part. A management company will earn its keep by leasing your property, managing your residents, securing new residents, and handling maintenance. The property management company is your conduit from your residents to you – it is important that you hire the best company with the most experienced property managers to help your tenants and day-to-day management. The San Diego rental market is unique. There are high numbers of students concentrated in La Jolla, central San Diego, and downtown. A substantial portion of San Diegans are transplants from other states and central and northern areas in California. Moreover, many residents are accustomed to certain amenities such as parking and dishwashers. Understanding the character of San Diego, the people who live here, and the quirks in each neighborhood are critical to building a successful property rental business. Research the company. Does it publish a blog? How long has it been in the real estate industry? Ask for a list of the properties they manage, and ask if you can contact a few of their clients as references. 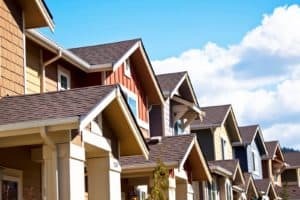 A solid full-service property management company should have years of experience (to indicate that they can navigate the ups and downs of the real estate market), a broad portfolio indicating it knows how to lease in a variety of different locales, and a solid reputation. Everything is recorded and shared these days. Spend a few weeks researching a few different management services. You can start with Yelp, Angie’s List, and the San Diego Union-Tribune. However, don’t overlook the endorsements of current and former clients, no one knows a company better than someone who used to do business with it. Familiarize yourself with the service and payment plans. How does the management service expect to be paid? There are numerous methods of payment including set percentages, profit sharing, and fixed monthly rates. You can also negotiate bonuses if they secure new residents quickly and multipliers if they can retain residents long-term. Finally, what services do they offer? Do they provide maintenance, client concierge, and marketing? Do these services cost more or are they included? Use this information to compare and contrast companies and what you need for your investment property. You are the one ultimately responsible because it is your property. You don’t want to get into bed with a company that will ignore your concerns, “junk” your emails, or delete your texts. Ask the company about its communication policy with their rental owners. As the references to their experiences, how did they like the company’s responsiveness? Preferably, the company should have a set policy and procedure for responding to client concerns. Some companies use a native messaging, and email system and others provide you with a point of contact. Clear communication is key for all parties involved with residential property management. Professional property management companies will give you the peace of mind you need as a landlord. 4. How does the company market your property? Don’t just rely on vague techniques or technologies. Ask how the company will help you directly. What will the property management company to get your property onto the market and with a reliable tenant in as short as time as possible. Does it work with real estate agents? What listing services does it use? Does it have its listing service? How do the managers at this company identify residents? What processes will it use to weed out potentially troublesome residents? A troublesome resident can tie up your rental property for months (it takes about six months for unlawful detainer actions to complete). Therefore, the best strategy is to avoid those problems altogether. Hiring a professional property management company is an easy way to ensure that the day-to-day operation of your rental property is accounted for. Similar to communication with property owners, what procedures and policies will the property management company use to communicate with your residents? Does it have a set policy and procedure? Is there a messaging system? Unhappy tenants can damage your property and are harder to retain. You want a property management company that is committed to customer service to you and your residents. Ask for specifics, what will they do for your investment property or how will your property fit into their overall operations?